Environmental issues have been in the spotlight in recent months, in part due to the success of Sir David Attenborough’s Blue Planet II series, and the giant artwork was designed to show the fragility of the oceans’ eco-systems. It was commissioned as part of the launch of a new £100,000 ‘Four Corners Of The World’ conservation feature at Sea Life Blackpool and took a team of five sand artists nearly six hours to create. It was painstaking work to recreate planet Earth out of sand. 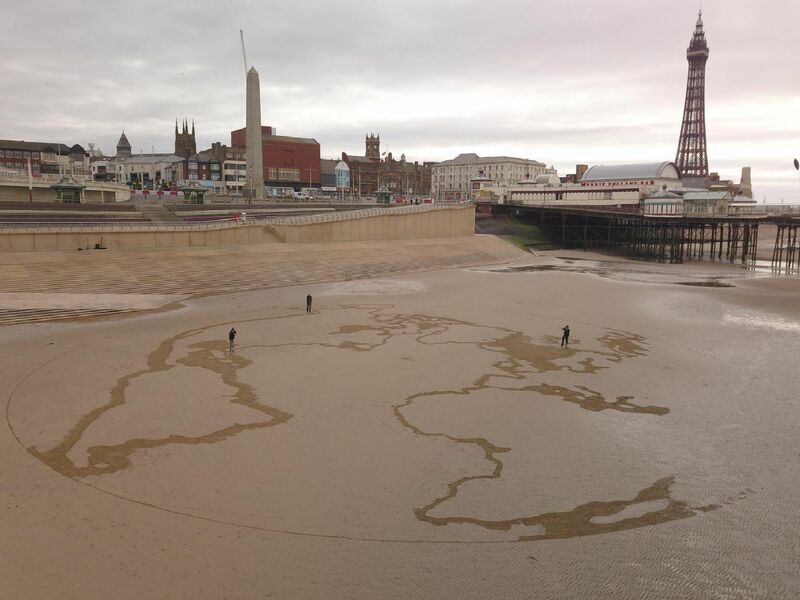 The artwork, which could be seen from Blackpool Tower, measured 150ft across before it was washed away. General manager Matthew Titherington said: We wanted to really make a big statement about the precarious state of the worlds oceans and marine life today."